RING OF HONOR: Coaches and players from left: Herb Brooks, Craig Patrick, Jean Pronovost, Tom Barrasso, Rick Kehoe, Kevin Stevens, Ron Francis, Jaromir Jagr, Mario Lemieux, Ulf Samuelsson, Dave Burrows, Larry Murphy, Paul Coffey, Les Binkley & Badger Bob Johnson. The first members of the Pittsburgh Penguins were enshrined on October 22, 1992 â€“ the season after the team’s second consecutive Stanley Cup Championship. There are 18 people enshrined in the Hall of Fame. It is often confused with the Ring of Honor. The Ring of Honor, based loosely on Texas Stadium’s Ring of Honor, sits high above the press box on the western side of the Mellon Arena. Sixteen players or coaches are represented on the mural, but not all are in the Penguins Hall of Fame. Johnson became head coach of Pittsburgh on June 12, 1990, and led the team to its first Stanley Cup championship on May 25, 1991. Johnson was the second American-born coach to win the Cup. Just six months later, on November 26, 1991, Johnson died. As a right wing, Kehoe scored a career-high 55 goals during the 1980-81 season. He led the team in goals and points on three occasions. Kehoe ranks third in club history with 636 regular season points, fourth in goals (312) and also ranks fourth in games (722). He played in the NHL All-Star Game twice and won the Lady Byng Trophy in 1981. Kehoe was an assistant coach and later head coach of the Pens. Pronovost played 10 seasons with the Penguins (1968 through 1978). 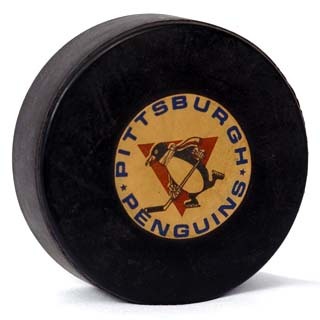 In 1975-76 Pronovost became the first Penguins player to record 50 goals in a season. He led the team in goals five times and points twice, recorded 20-or-more goals in nine of his 10 seasons. Pronovost ranks third in club history in goals (316), fifth in points (603), eighth in assists (287), fifth in power play goals (70) and third in game-winning goals (42). He represented the Penguins in the NHL All-Star Game four times and served as team captain in 1977-78. Apps spent six full seasons and parts of two others with Pittsburgh, recording 151 goals, 349 assists and 500 points in 495 regular season games Apps led the team in scoring three times. He led the Penguins in assists five times, including the 1975-76 season when he notched a career-high 99 points (32+67). He was also the MVP at the 1975 NHL All-Star Game in Montreal. Burrows played defense in Pittsburgh from 1972 the 1977-78 season and was reacquired by Pittsburgh in 1980, and remained with the team through the 1981-82 season. He played in 593 games with Pittsburgh and played in the 1974 and 1976 NHL All-Star Games. DeBartolo became the full-time owner of the Penguins in 1978 and was at the helm for the teamâ€™s first Stanley Cup Championship in 1991. Shortly after the 1991 championship he sold the team. He died on December 19, 1994 at the age of 85. Heufelder served the Penguins and Civic / Mellon Arena for more than 35 years as the executive assistant for the Civic Arenaâ€™s first building manager, Charles Strong, and worked for Paul Martha, Edward J DeBartolo Sr., Roger Marino and Mario Lemieux. Throughout her career, she played a key role in the operation of the building and the teamâ€™s front office. She retired at the conclusion of the 2002-03 season. Lemieux is the teamâ€™s all-time leading scorer and the captain of Pittsburghâ€™s two Stanley Cup Championship teams in 1990-91 and 1991-92. Drafted first overall in 1984, Lemieux recorded 613 goals and 881 assists for 1,494 points in 745 games during his first 12 seasons. He won six NHL scoring championships, three MVP trophies, two Conn Smythe trophies as MVP of the playoffs, and the Calder Trophy as Rookie of the Year in 1984-85. He retired in 1997 and was inducted into the Hockey Hall of Fame. Two years later, Lemieux led an ownership group that brought the club out of bankruptcy. After a three-year retirement, Lemieux returned to the ice for five seasons before retiring for good on January 24, 2006. He finished seventh in NHL history with 1,723 points and ninth with 690 goals. He currently serves the Penguins as Chairman of the Board. Riley was the original general manager of the Penguins and assembled the first team in franchise history in 1967 and served two stints as general manager – from 1967-70 and again from 1972-74. He also was team president from 1970-72. Mullen was the first American-born player to score 500 goals in the NHL. His 16-year NHL career is full of milestones including three Stanley Cup Championships (1989 with Calgary; 1991 and 1992 with Pittsburgh). Mullen retired in 1997 and served as an assistan coach of the Penguins. Mullen has been honored with inductions into the Hockey Hall of Fame (2000), the USA Hockey Hall of Fame, the Western PA Sports Hall of Fame and in the Boston College Hall of Fame. served as an assistant coach and assistant general manager of the gold medal wining 1980 US Olympic team. His 16-plus seasons with the Penguins represented the longest continuous stint as general manager in team history. Patrick was inducted into the Hockey Hall of Fame in 2001. Lange started broadcasting Penguins games in 1974-75 and has spent 30 seasons as the Penguinsâ€™ play-by-play voice. Lange worked radio exclusively until 1979, when games were simulcast on radio and TV. He is now the Penguinsâ€™ primary radio announcer. The Hockey Hall of Fame honored Lange with the Foster Hewitt Award in November of 2001. Caggiano worked in the Penguinsâ€™ dressing room for more than three decades, and through the team’s first 33 seasons, he never missed a Penguins home game. Caggiano passed away in May of 2000 and, in his honor, the Penguins Booster Club renamed their annual award the â€˜AT Caggiano Memorial Awardâ€™ prior to the 2000-01 season. Penguins and seven playoff contests. He ranks second on the teamâ€™s all-time shutout list with 11, and also ranks second for most shutouts in a season with six, which were recorded during the teamâ€™s first season. Whalers with Ron Francis and Grant Jennings, and went on to star as a member of the Penguinsâ€™ two Stanley Cup teams.Hhe played 277 regular season games for the team from 1991 through 1995, recording 110 points and 927 penalty minutes. Samuelsson scored the series-clinching goal of the 1991 Stanley Cup final. Lascheid was the organist at the Civic / Mellon Arena from 1970 to 2003. For more than 30 years. During his musical career, Lascheid also worked with the Pittsburgh Pirates baseball team (1970 to present) and the Pittsburgh Triangles tennis team (mid-1970s). Lascheid died on March 20, 2009. Coffey was a defenseman for the Penguins from 1987-92. He averaged over a point a game during his Penguins career, racking up 108 goals and 332 assists for 440 points in 331 games. He also added 26 points in 22 playoff games Coffey is also the only defenseman in Penguins history to score more than 100 points in a season. He served as captain for part of the first Stanley Cup-winning season and was inducted into the Hockey Hall of Fame in 2004. Sciuli was a dressing room assistant with the Penguins from its inception in 1967 until passing away in 2007, was a regular presence in the locker rooms of both the Penguins and the Pittsburgh Steelers.